Nova Scotia Crime Stoppers – Page 95 – Remember Crime Stoppers wants your information, not your name. 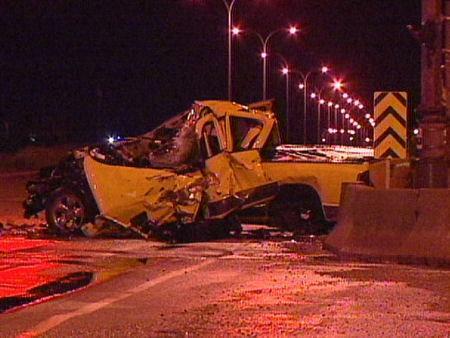 At approximately 2:50 a.m., on Thursday, June 18, 2009, a yellow 2005 Dodge Ram pick-up truck was traveling east on Glenmore Trail when it collided with the rear of a large commercial vehicle near 52 Street SE in Calgary, Alberta. The 32-year-old driver of the Dodge Ram, Ryan James WALD died at the scene. There was no one else in the vehicle. The large commercial vehicle did not remain at the scene. Police now believe that the driver would have known he was involved in the collision but has so far failed to come forward. 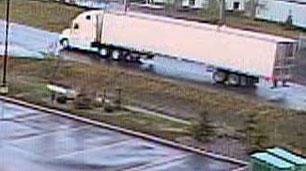 The vehicle is a large, white Columbia Freightliner with a 53-foot-long refrigerated trailer. The trailer is likely to have some damage to the passenger-side tail light area and may have some yellow paint from the Dodge Ram. To assist with the investigation, police are releasing a photograph of the vehicle that was involved in the collision. Given the nature of the haulage industry, this vehicle could now be anywhere in Canada and could even have gone abroad. Anyone who may be able to identify the driver of this vehicle or who has any information relating to the collision is asked to call 1-800-222-8477 to submit anonymous information. Crime Stoppers is asking for the public’s help in solving a case of theft of propane tanks in Upper Tantallon Nova Scotia. The propane tanks had white and green stickers on them. These tanks were locked in cage type boxes at the exterior of the building. The locks appeared to have been cut with heavy bolt cutters. Sometime between 8:00 pm Monday, July 13 and 9:30 am Tuesday, July 14, 2009, approximately 95 – 20 lb propane tanks full with propane were taken from the Irving situated at 5120 St.Margarets Bay Road. 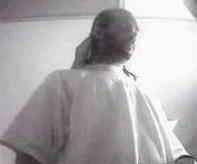 Sometime around 01:30 a.m on July 31, 2009, an unknown culprit rammed a maroon or burgundy van into the garage doors of Tri County Machines located at Francis Drive, Conway. The vehicle fled the scene prior to entry being gained. Digby RCMP are looking for information for person or persons responsible for this crime. Crime Stoppers is asking for the public’s helping locating and finding the person responsible for the theft of a travel trailer from the Prospect Road, Halifax County. 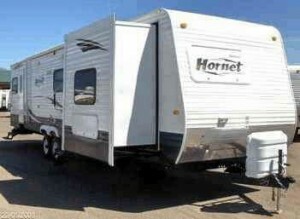 Sometime between June 24 and June 26, 2009 a 2009 Keystone Hornet Retreat 38 KBTS was stolen from a vacant lot situated at 2053 Prospect Road. This trailer is 40 feet long and has three sides out. Crime Stoppers is asking for the public’s help in identifying the person responsible for the theft of a purse in Cole Harbour Nova Scotia. On June 7, 2009, at approx 1412 hrs, a male suspect stole a purse that had accidentally been left minutes before on the shelf by the ATMs at the Bank of Montreal on Cole Harbour Road, The purse contained pieces of her identification. 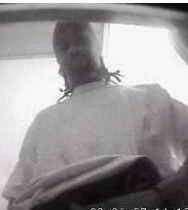 The suspect was captured on video surveillance. Crime Stoppers is asking for the public’s help in solving a case of theft which occurred in the Kemptown area of Colchester Nova Scotia. 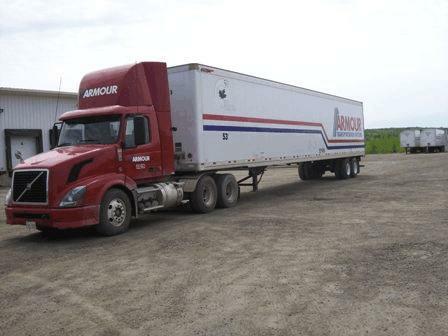 On May 31, 2009 Colchester District RCMP recovered a stolen Armour Transport Truck on the Riversdale Road in the Kemptown area of Colchester County, NS. 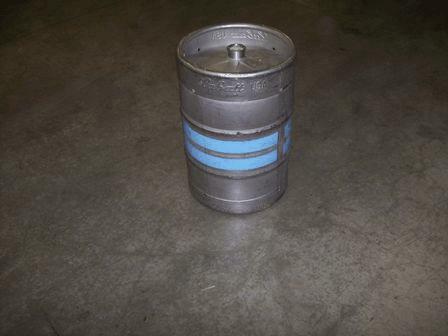 The trailer had contained 144 full kegs of Budweiser beer which weighed 164 pounds each. An examination of the truck revealed that the kegs had been removed individually from the pallets inside the trailer. Given the weight of the cargo, it would have taken some time, as well as a large vehicle or vehicles, to move the kegs. On May 31, 2009 at approximately 12:53. Truro Police Service responded to a power pole being damaged in the area of Willow Street and Upham Drive in the Town of Truro, NS. The investigation revealed that the stolen transport truck had collided with the power pole and then departed the scene. Crime Stoppers is asking for the public’s assistance in solving the following case of Mischief which occurred in Sheet Harbour Nova Scotia. On April 26th/2009 between 4:00pm and 7:30pm, a 185 foot long vessel called “The Hawk” was set adrift from a private wharf located at Church Point Road. The unmanned vessel drifted into Sheet Harbour and caused panic among residents of the town. On several occasions, its course of travel was predicted to collide with other objects. Had this occurred, the risk to public and environmental safety would have been significant. The vessel was later recovered undamaged, but the cost for its retrieval was in the thousands of dollars. It is believed that the vessel was intentionally set adrift by an unknown number of suspects who disconnected the ropes that had been securing it to the wharf. Crime Stoppers is asking for the public’s assistance in solving several Break Enter and Thefts that occurred in Heathers Beach area cottages sometime between 3 AM and 4 AM on the 28th of April 2009. All cottages were forcibly entered the cottages, then rummaged through them in search of items. A high degree of damage was done to several cottages. At Around 8:40 pm on Friday April 3rd, 2009 a lone male entered the Esso Gas Station located on French Village Road in Tantallon. The lone male produced a white plastic bag, a knife and demanded the money from the clerk behind the counter. Once the lone male recieved the money he fled the scene. White male, 5’4” tall, slim build, wearing a black hoodie, black gloves, large sunglasses, and something up over his face.